Fast casual restaurants in the U.S. have positioned themselves between fast food restaurants and casual dining restaurants. Generally, this means that, just like fast food restaurants, full service is not available in the fast casual dining room. However, unlike fast food restaurants, the quality and price of the fast casual food are higher, much like casual dining restaurants. While the line between fast food restaurants and fast casual restaurants is usually pretty clear, the difference between fast casual restaurants and casual dining restaurants is sometimes not as clear and just a matter of opinion. Exactly what are the top restaurants in the fast casual segment of the restaurant industry? According to the annual ranking list published by FastCasual.com, the top fast casual restaurant chains are the fast casual brands and concepts that have the best growth, innovation, and social responsibility. These are the fast casual chains in the U.S. restaurant industry that are defining the niche, and creating trends that other new and existing fast casual restaurants are following. FastCasual.com refers to the top fast casual restaurant chains as the "Movers & Shakers" of the restaurant industry. And, while the list represents only restaurants, in 2016 FastCasual replaced the "Top Restaurants" category with "Top Brands," but the two terms are interchangeable. What follows is a comparison of the Top 10 Fast Casual "Movers & Shakers" for 2017, 2016, 2015, and 2014 according to the FastCasual annual ranking report. This three-year comparison reveals which fast casual restaurants are still hot and which are not, which restaurant chains are getting closer to the leading edge and which ones are losing influence. This list is arranged according to the ranking number assigned to it by the decision-makers at FastCasual.com when compared to a total of 100 other fast casual restaurant chains each year. Under each ranking number are the restaurants that were given that ranking each year. The annual "Movers & Shakers" list is usually filled with restaurant chains that are relatively new, with fresh concepts that have never been seen in the U.S. retail restaurant industry. Accordingly, the restaurant chains that Fast Casual Magazine ranked highest for growth, innovation, and social responsibility in 2017 are not largely the well-known, seasoned brands like Chipotle and Au Bon Pain. Instead, a variety of food genres and service style were represented on this year's list. 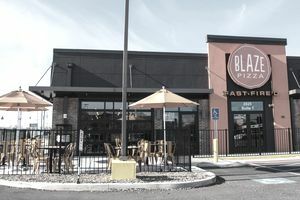 Of the 76 brands, 12 fell into the "healthful" category; 11 specialized in pizza; nine focused on Tex Mex or Hispanic cuisine; six represented the better-burger category and five featured chicken on the menu.